Atlanta United leads our MLS Ambition Rankings in 2018. Here are some of the numbers that went into that decision, along with those of their Eastern Conference counterparts. In conducting our annual MLS Ambition Rankings, we rely on the clubs to provide us with information and details used to compile our rankings. There are different ways to define ambition, which go well beyond roster spending. What are the prospects for the near- and long-term future? What is a team's stadium experience like? How aggressive are teams challenging for trophies on multiple fronts? Those are just some of the questions we strive to answer in painting as detailed a picture as possible in a league where total transparency has not always been a calling card. Every club in the league was asked the same questions and given an opportunity to respond in as much or little depth as they were willing to offer, with some questions pertaining only to a certain set of clubs due to their involvement in Concacaf Champions League, while others haven't had the opportunity to participate. 1 - How much money has your club spent across the past three years on Designated Players (transfer fees + salaries)? How much are you spending in 2018? 2 - How much has your club spent across the past three years on youth development? How many fully-funded (free) youth teams do you field? A—$60 million training facility for MLS, USL and Academy. B—Seven fully-funded youth teams. Three junior training programs. 3 - Have you upgraded your stadium in the past year, or are you building--or in the process of upgrading--your stadium? What is the cost? Team plays at Mercedes-Benz Stadium, which opened in September 2017. Best-in-class facility cost $1.5 billion. Stadium can be completely transformed to be soccer-specific thanks to retractable seating for a wider pitch, an automated curtain system for a more intimate and energetic setting, digital signage for exclusive club branding and the absence of permanent on-field lines. Atlanta United has its own locker room reserved for the club year-round, while the flexible seating capacity allows for configurations of 42,500 (when upper bowl is closed) or 70,000-plus when fully opened. The club [in 2017] set multiple league records including season tickets sales (36,000-plus), single-game attendance (71,874), single-season average (48,200) and total home attendance (819,404). 4 - Where does your first team train? Have you upgraded, or are you building or improving, your first-team training facility? What is the cost? Team trains at the Children’s Healthcare of Atlanta Training Ground. The $60 million facility opened in April 2017. It houses the first team, USL team and seven academy teams. Features six full-sized pitches. 5 - Do you have a USL and/or NWSL team? If so, what are the operating and salary budgets for that team(s)? We have a USL team, Atlanta United 2. It made its debut in March 2018. 6 - How many front office employees does your club have? How many have you added or subtracted over the past year? 110 full-time dedicated Atlanta United employees. Utilize shared services across the Blank Family of Businesses. 7 - Please provide your starting XIs for your first two U.S. Open Cup or Canadian Championship games of 2017 (or just the first, if you lost your USOC opener). GK Alec Kann; Ds Zach Loyd, Anton Walkes, Miles Robinson, Mark Bloom; MFs Chris McCann, Jeff Larentowicz, Miguel Almirón, Kevin Kratz, Brandon Vázquez; F Josef Martínez. GK Alec Kann; Ds Mark Bloom, Leandro González Pirez, Anton Walkes, Tyrone Mears; MFs Chris McCann, Carlos Carmona, Andrew Carleton, Kevin Kratz, Brandon Vázquez; F Julian Gressel. The club has spent $4.1 million and has five fully-funded youth teams (U13s, U14s, U15s, U17s and U19s). It’s not our stadium. [Toyota Park, soon to be named SeatGeek Stadium] is owned by the city Village of Bridgeview. We train on the grounds of the stadium, which also belongs to the Village. On a yearly basis, we’ve made modest improvements to the training facilities—the gym, where we eat, the food we serve, the players’ lounge. The club made a $22 million investment in the Fire Pitch [a North Side facility with two full-size fields and an inflatable dome], where the team can also train, but more importantly it’s designed to help build the soccer ecosystem in Chicago and give us a presence in Chicago beyond 17 home matches in Bridgeview. No. We have a different development philosophy. For our club, an investment in a USL team at this time would be misplaced. We have more work to do with our first team and our academy, and we have the benefit of a coaching staff that isn’t afraid to play qualified players regardless of age. GK Matt Lampson: Ds Brandon Vincent, Jonathan Campbell, Johan Kappelhof, Drew Conner; MFs Dax McCarty, Juninho, Michael de Leeuw, Daniel Johnson, Arturo Alvarez; F Luis Solignac. GK Matt Lampson: Ds Brandon Vincent, Jonathan Campbell, Johan Kappelhof, Drew Conner; Matt Polster, Bastian Schweinsteiger, Arturo Alvarez, Juninho, Michael de Leeuw; Nemanja Nikolic. Mapfre Stadium maintenance and upkeep is a club priority. Crew SC trains at the Crew SC Training Center at Obetz. In the summer of 2017, a ryegrass/annual bluegrass surface was replaced with a Bermuda surface. Crew SC has approximately 95 full-time employees presently employed, which represents a slight year-over-year addition in headcount. GK Brad Stuver; Ds Waylon Francis, Nicolai Naess, Alex Crognale, Héctor Jiménez; MFs Artur, Wil Trapp, Justin Meram, Federico Higuaín, Ethan Finlay; F Adam Jahn. Approximately $7 million over five years. Approximately $1.5 million spent in 2016, and $2 million in 2017. D.C. United will open Audi Field on July 14, 2018, against the Vancouver Whitecaps. The nearly half-billion-dollar development will also host a variety of other sporting and cultural events, community activities, and concerts. The state-of-the-art urban facility has a capacity of 20,000 fans and will feature 31 luxury suites, a bike valet, and 500,000 total square feet of mixed-use retail and residential space on site, making it a 365-day destination for fans and D.C. residents. United are working with officials in Northern Virginia to finalize plans for a 2019 training facility in Loudoun County, just outside of Washington, D.C. 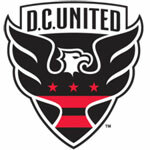 The site will also house the D.C. United Academy as well as future plans for a second-division team. D.C. United are working to finalize plans for a second-division team that will begin playing as early as 2019. GK Travis Worra; Ds Chris Korb, Bobby Boswell, Jalen Robinson, Chris Odoi-Atsem; MFs Chris Durkin, Marcelo Sarvas, Lamar Neagle, Julian Buescher, Sébastien Le Toux; F José Guillermo Ortiz. GK Travis Worra; Ds Chris Korb, Sean Franklin, Jalen Robinson, Chris Odoi-Atsem; MFs Ian Harkes, Jared Jeffrey, Lamar Neagle, Julian Buescher, Sébastien Le Toux; F José Guillermo Ortiz. 8 - This question is for clubs that participated in the Concacaf Champions League at least once in the past five seasons: Did your club do anything special or extra to prepare for CCL competition, such as training or playing friendlies abroad, sending scouts abroad or scheduling different preseason opponents? What was the cost associated with the preparation? Yes, we spent additional money on advanced scouting and travel in preparation for our Concacaf Champions League matches. 2018—Piatti (now top 5 in the league in salary), Saphir Taïder and an international head coach (which is DP level). Approximately $6 million, on five to six teams. Yes, $3.5 million in 2017. The team trains at our new training center, Centre Nutrilait) which cost $17 million. No, our last season in USL was in 2016. We have 120 employees in our front office and 40 on the technical staff for a total of 160 (stable year to year). GK Maxime Crépeau; Ds Daniel Lovitz, Hassoun Camara, Laurent Ciman, Chris Duvall; MFs Calum Mallace, Hernán Bernardello, Adrián Arregui; Fs David Choinière, Dominic Oduro, Ballou Jean-Yves Tabla. GK Maxime Crépeau, Ds Ambroise Oyongo, Kyle Fisher, Laurent Ciman, Chris Duvall; MFs Patrice Bernier, Marco Donadel, Blerim Dzemaili; Fs Ignacio Piatti, Anthony Jackson-Hamel, Dominic Oduro. Yes, our training camp was in Mexico prior to the  final. We put a lot of marketing efforts into those games. We had more than 60,000 people at the Olympic Stadium. The New England Revolution do not share player salary information. The club is spending money on designated players and on discretionary TAM players. For 2018, there are currently six players on the roster who are either designated players, TAM, or discretionary TAM players. The club does not disclose specific amounts, but investment in the past three years has been significant and above $1 million each year. The Revolution Academy has five teams—U19, U17, U15, U14, U13—and has a U12 alliance and utilizes local partnerships for players 12 and under. The Revolution Academy has always been a fully-funded (free) program, meaning players and their families are not subject to any annual fees or charges in order to play for the Revolution. All players’ needs and expenses related to soccer activities—including training, facilities, equipment, uniforms, and team travel associated with competitions—are provided and paid for by the Revolution at no cost to the players or their families. We consistently rank well with homegrown minutes played. Diego Fagundez and Scott Caldwell are among the all-time leaders among MLS homegrown players for minutes played. The Revolution are attempting to build a soccer-specific stadium in or near Boston. The club has made a significant investment to date and continues to work on bringing a soccer stadium to Boston. The club’s most recent proposal would have brought a $250 million privately-financed stadium to Boston. Like several other MLS teams, the Revolution play on FieldTurf and is committed to providing the best synthetic surface in the league. Gillette Stadium upgraded the FieldTurf in both 2016 and 2017 to ensure the team continues to have the highest quality playing surface. For 2018, the Revolution will have new LED field boards for all matches. The Revolution first team opened a new training field in 2017 and has access to a team-owned indoor turf field on site. Ahead of the 2018 season, significant upgrades were made to the team’s training facilities to meet the needs of the new coaching staff. Additionally, plans for the club to add multiple new fields and a new training center are currently in progress. The Revolution do not own a USL team. The club has a budget dedicated for USL players and expenses. In 2017, the [Revolution’s] strategy was to maintain relationships with a number of different clubs for opportunities to give players significant playing time in competitive matches. In 2017, four players went on loan multiple times. The Revolution have 90 full-time staff working in the front office dedicated solely to the club. There are approximately 15 Kraft Sports & Entertainment employees who are also focused on the Revolution. Ten new full-time staff were added in 2017, including Remi Roy as the club’s new director of scouting and player personnel. GK Brad Knighton; Ds Donnie Smith, Josh Smith, London Woodberry, Andrew Farrell; MFs Scott Caldwell, Femi Hollinger-Janzen, Daigo Kobayashi, Zachary Herivaux, Teal Bunbury; F Brian Wright. GK Brad Knighton; Ds Donnie Smith, Josh Smith, Benjamin Angoua, London Woodberry; Zachary Herivaux, Je-Vaughn Watson, Femi Hollinger-Janzen, Diego Fagundez, Teal Bunbury; F Brian Wright. The New England Revolution hired new head coach Brad Friedel ahead of the 2018 season. Friedel brought on an entirely new coaching staff, which includes assistant coach Mike Lapper, who served under Friedel as an assistant coach with the U.S. U19 men’s national team; assistant coach Marcelo Neveleff, who was a member of the coaching staff with Friedel on the U20 national team that won the 2017 CONCACAF U20 championship; assistant/goalkeeping coach Ruben Garcia, who worked alongside Friedel while coaching goalkeepers at all levels of the U.S. youth national team program; and head of fitness Anton McElhone, who spent the last 10 seasons with Tottenham, including the last six as the club’s first team fitness and reconditioning coach. Included in Revolution season memberships again, as an amenity for 2018, is the ability to attend a Revolution away match with game tickets and round-trip bus transportation at no additional cost. In 2017, more than 1,500 season members enjoyed trips to away matches at the New York Red Bulls and New York City FC. On the broadcast front, NBC Sports Boston will be the club’s regional broadcast partner for the ninth consecutive season. In addition to carrying the club’s regular season games, NBC Sports Boston has increased their investment in the club by acquiring the digital rights with increased local streaming. All matches carried on NBC Sports Boston, as well as the postgame show, will be streamed live on NBCSportsBoston.com and via the NBC Sports app for tablets and mobile devices. We do not disclose financial information above and beyond that which is available from public sources. NYCFC made an significant investment this off-season on a young designated player [Jesús Medina], an exciting young talent from South America and one of the best young players in Paraguay, having already made an appearance for the full national team. New York City FC is deeply invested in developing local youth talent. In our inaugural season, we developed the New York City FC Academy. With close ties to the City Football Academy in Manchester, home to sister club, Manchester City FC, the New York City FC Academy further benefits from the technology and resources across the City Football Group network. We currently have U12, U13, U14, U15, U17, U19 [teams]. We’ve had 13 different players called up to U.S youth national teams in the past 12 months. NYCFC have had at least one representative in U14, U15, U17, U18, U19 and U20 groups at the same time. On February 27, 2017, NYCFC announced its new girls soccer academy. In October 2016, NYCFC announced plans to move into its new, permanent training facility, the City Football Academy. We will move into the 17-acre site in Orangeburg, New York this season. The plans consist of one-and-a-half regulation-sized grass fields, as well as a 25,000-sq.-ft. building housing the team offices, space for player rehabilitation and welfare, amongst other amenities. Designed by Rafael Viñoly, the architect responsible for Manchester City FC and Melbourne City FC’s City Football Academy facilities, our new training facility in Rockland County is due to be completed in early 2018. In line with NYCFC’s community approach, the club will make a donation for program and facility improvements to youth affiliate World Class FC (OMM Soccer), based in Orangeburg. Approval for building on this former STEJ site on Old Orangeburg Road, which has been vacant and unused for more than a decade, was given in July 2016 by the Orangeburg Planning Board. San Antonio FC is our USL affiliate. Roughly 120 in total, around 80 of those being front office staff, the remainder being sporting staff, not including players. GK Sean Johnson; Ds Ben Sweat, Alexander Callens, Frederic Brillant, Ethan White; MFs Alexander Ring, Mikey Lopez, Tommy McNamara, Maxi Morález, Jack Harrison; F David Villa. The Red Bulls continue to invest in the roster as a whole, and this offseason spent a reported club-record transfer fee to land Alejandro “Kaku” Romero Gamarra. The Red Bulls have two pre-academy teams, and five cost-free academy teams. In the past three years the Red Bulls expanded the club’s training facility to include an academy-specific building and new grass training field. The facilities are great, with locker rooms, coaches office, classroom, gym, and treatment rooms. The facilities were used by Barcelona when they trained at RBTF last summer. The Red Bulls invested significantly in a new state-of-the-art in-stadium wi-fi network to improve the fan experience. The New York Red Bulls have won the J.D. Power Fan Experience rankings the last two years, as the best fan experience across the U.S. The Red Bulls train at Red Bulls Training Facility in East Hanover, NJ. The facility opened in 2013. The facility has locker rooms for the MLS and USL teams, training and treatment rooms, a film/meeting room, offices, and a cafeteria, along with two grass fields (one heated) and a turf field (in addition to the academy-specific building and grass field). The gym was renovated this offseason. The Red Bulls operate a USL team in-house, operating side-by-side with the MLS team. The club has a home venue at Montclair State University, which is currently in phase two of renovations paid for by the club. The front office continues to grow, now with a staff nearing 150. GK Ryan Meara; Ds Aaron Long, Damien Perrinelle, Aurélien Collin, Tyler Adams; MFs Alex Muyl, Felipe, Mike Grella, Sacha Kljestan, Sal Zizzo; F Bradley Wright-Phillips. GK Ryan Meara; Ds Damien Perrinelle, Aurélien Collin, Aaron Long; MFs Kemar Lawrence, Tyler Adams, Felipe, Sal Zizzo; Fs Sean Davis, Sacha Kljestan, Bradley Wright-Phillips. The Red Bulls actually changed existing plans (at significant cost) after the draw and scheduling was announced. On January 29, Concacaf announced a venue change for the February 22 game against CD Olimpia. For preparation and player readiness, the Red Bulls left their existing preseason setup and trained in Houston before traveling to the match in Costa Rica. The club chartered to Tijuana for the quarterfinals, and also chartered for group stage and quarterfinal games in the 2016-17 competition. Orlando City SC has spent $22 million on Designated Players (transfer fee plus salaries) since it began MLS play in 2015. In 2018, the club is spending $8.5 million with TAM included. In 2018, Orlando City SC revamped its youth academy system by partnering with the Soccer Institute at Montverde Academy. Montverde manages and operates Orlando’s U15, U17 and U19 boys’ teams out of its campus, while the girls’ teams and the boys U12 through U14 groups remain in [Orlando City’s] facilities. The full value of investment was $5 million. The Academy is fully-funded by Orlando City SC and players do not pay any fees or dues to play. Orlando’s player now gain access to SIMA’s on-site residency programs for student-athletes and can take advantage of its academic programs. The Montverde soccer program has earned multiple national championships. It has produced 17 athletes who have signed professional contracts at 18 years old in MLS, the USL and various leagues around the world. In March 2017, Orlando City SC debuted its $155 million, 25,500-seat stadium in downtown Orlando and saw sellout crowds consistently throughout the season with a season ticket base above 18,000. Orlando City was the first sports team in North America to partner with and adapt to Ticketmaster’s Presence program, moving entirely to a paperless ticketing system at its stadium, eliminating ticketing fraud by 100%. In January 2018, Orlando City SC partnered with Fanatics, the global leader for licensed sports merchandise, to build a new fan merchandise store at the stadium for both its MLS and NWSL teams, which opened for Orlando City’s 2018 season-opening match on March 3. The store was funded by Fanatics. The team trains at Sylvan Lake Park in Seminole County. The club will build a new training facility in the Lake Nona Sports Complex. Both Orlando City and Orlando Pride will relocate to the new facility. Timeline is TBD. Orlando City SC opted to sit its Orlando City B team out of the 2018 USL season and is in conversations over its future in the league’s newly-formed USL third division. Orlando Pride joined the NWSL in 2016 and begins its third season in the league in March 2018. Currently, the team is composed of elite stars, including 13 players who’ve made FIFA Women’s World Cup appearances for the USA, Australia and Brazil, as well as two Women’s World Cup champions, including three-time CONCACAF Player of the Year Alex Morgan. The team is also home to five-time FIFA World Player of the Year, Marta, largely regarded as the best female player in the world. In 2017, the NWSL salary cap was $315,000, with $41,700 as the player maximum salary and $15,000 as the minimum. Orlando City SC shares operational costs across its teams. Orlando City SC has 87 full-time front office employees, which is a slight increase from 84 last year. GK Josh Saunders; Ds Victor Pagliari Giro, Léo Pereira, Jonathan Spector, Rafael Ramos; MFs Luis Gil, Servando Carrasco, Antonio Nocerino, Pierre Da Silva; Fs Hadji Barry, Giles Barnes. We have recently increased our investment in bringing in established talent, with the three most expensive players in club history (total transfer fee plus salary) coming in over the past two years in Alejandro Bedoya, David Accam and Borek Dockal. We are committed to building a sustainable model through this area, spending approximately $12 million over the past three years on our youth setup, which includes our USL club. We own and operate the YSC Academy, the first-of-its-kind, soccer-specific high school in the United States. In its fifth academic year, the class of 2018 will be its fourth graduating class. We have 75 students enrolled full time in the school, with most playing for the Philadelphia Union Academy. From U12 to U19, the Philadelphia Union Academy is completely free of cost for players (the YSC Academy school is not free to all, but financial aid is available. About 82% of tuition dollars for the school are covered by financial aid.). We field seven teams in our Academy. The innovative Philadelphia Union Youth program is based in sport science and performance and follows best practices in long-term athletic development and coaching education. It includes two developmental levels: Union Juniors Pre-Academy (U8-U11), and the Union Academy. We have transformed our stadium experience in accordance with our brand update in recent years—changes our fans have embraced as we recently won the J.D. Power Award for Best Fan Experience among all professional sports teams in Philadelphia. These elements include a renovated Union shop through our new retail partnership, improvements in concession offerings (such as new local partners and local food trucks), the formation of the Union Ale House deck, and fan experience upgrades such as the Union drum line, supporter-created murals located around the stadium, and new, vibrant stadium scrim. We train at the Power Training Complex in Chester, which is adjacent to our stadium and our offices. We built the facility ourselves in the 2016 season, putting in two Bermuda grass practice fields adjacent to Talen Energy Stadium prior to that. We also used what once was the machine shop of the vintage power plant that has been turned into extraordinary Class A office space by our ownership, transforming it into a high-end, 16,500-sq.-ft. training facility for the team. We kept the 1920’s brick façade and incorporated elements of the iron and brick interior, like an 800-pound iron door to our locker room. Despite this vintage theming, the facility’s contents are absolutely state-of-the-art, including: an expansive weight training and exercise area, technologically advanced video theater, players’ and coaches’ lockers and showers, a full weight area, a hydrotherapy suite, hot and cold tubs, an underwater treadmill, shower and infrared sauna. Bethlehem Steel FC is entering its third season and has been a critical part of our “Path to the Pros,” an initiative that we believe in and allocate significant funds to, in accordance with our commitment to youth development. We have now signed five homegrown players over the last two calendar years, all of whom have appeared with Steel FC prior to making the jump to the first team. We had 95 front office employees in 2017, which was 30 more than the previous year (65 in 2016). On the soccer side, we have recently added positions in the coaching, data analytics and video analysis departments. GK John McCarthy; Ds Giliano Wijnaldum, Jack Elliott, Josh Yaro, Keegan Rosenberry; MFs Derrick Jones, Haris Medunjanin, Marcus Epps, Roland Alberg, C.J. Sapong; F Jay Simpson. GK John McCarthy; Ds Fabinho, Jack Elliott, Josh Yaro, Keegan Rosenberry; MFs Derrick Jones, Haris Medunjanin, Fafa Picault, Roland Alberg, C.J. Sapong; F Jay Simpson. We invested just under $7 million in our academy program over the past three years, fielding seven fully-funded teams U19 and under. No upgrades following major renovation/addition in 2016. Added 1,000-seat temporary grandstand in North End for 2018 at a cost of $250,000. BMO Training Ground. State of the art in every way. USL Team. Our operating budget is $2.6 million and the team is not yet profitable. There are 60 TFC-specific staff under the MLSE umbrella, including one new role in the past year. GK Clint Irwin; Ds Justin Morrow, Jason Hernandez, Mitchell Taintor; MFs Raheem Edwards, Benoit Cheyrou, Armando Cooper, Tsubasa Endoh; Fs Jonathan Osorio, Jordan Hamilton, Jay Chapman. GK Clint Irwin; Ds Chris Mavinga, Drew Moor, Eriq Zavaleta; MFs Justin Morrow, Víctor Vazquez, Benoit Cheyrou, Jonathan Osorio, Tsubasa Endoh; Fs Jordan Hamilton, Tosaint Ricketts. We trained in Mexico for 10 days and played friendlies vs. Tijuana and Club América.